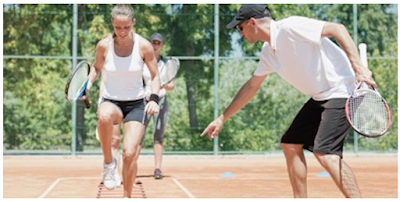 For a tennis player to perform at their best, they must have just the right mix of aerobic and anaerobic endurance, explosive strength and power, speed off the mark and agility. In fact, the amount of strength, speed, agility and flexibility conditioning a player is prepared to undertake has been linked to the standard they play. A tennis match is characterized by repeated bouts of high-intensity activity. However, a typical rally may last about 6 seconds and not much more than 10 seconds even on a clay court. Between points there is the luxury of up to 25 seconds rest – 90 seconds if it’s a changeover. Hence, the overall physical demand is closer to prolonged moderate-intensity exercise (such as distance running) than a true multi sprint sport (such as soccer).